I am seriously addicted to S’mores frozen hot chocolates from Dairy Queen. My son has a peanut allergy so DQ is not a restaurant that I ever frequent with him which means my addiction has been going unfed. 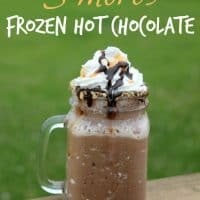 I set out to create my own S’mores frozen hot chocolate recipe so I could enjoy them whenever I wanted from the comfort of my own home. The result was amazing. Let me tell you. Amazing. We have a S’mores tradition in our house. 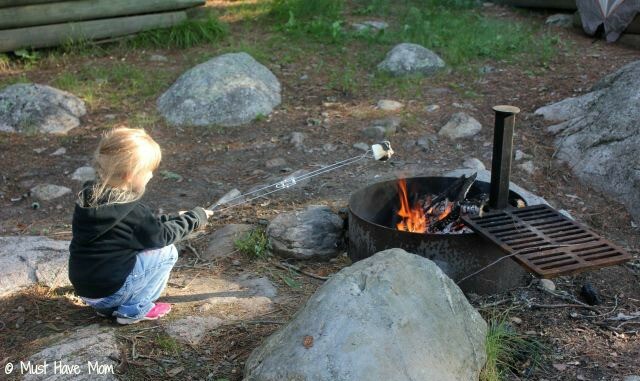 Whenever we go camping or stay overnight at our cabin we make S’mores for breakfast. Not just any old S’mores though. We stuff the marshmallows with a Rolo candy in the middle and then roast them. The result is an ooey gooey marshmallow with a chocolate caramel center. It’s fabulous. Try it. So in my recipe production I knew I needed to have not just S’mores flavors in my iced drink, but also the caramel and chocolate flavors that oozed from the Rolos in our S’mores. 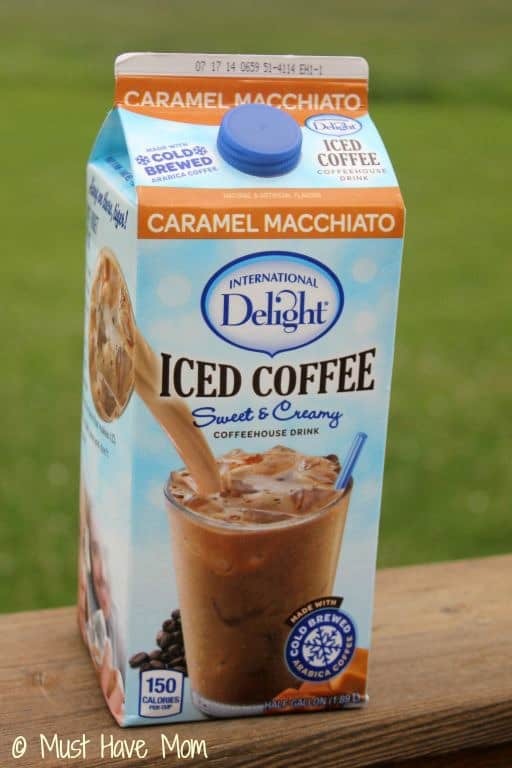 To achieve that I used International Delight Caramel Macchiato flavored Iced Coffee. I found it in the dairy section. It’s ready to drink and perfect for my recipe. 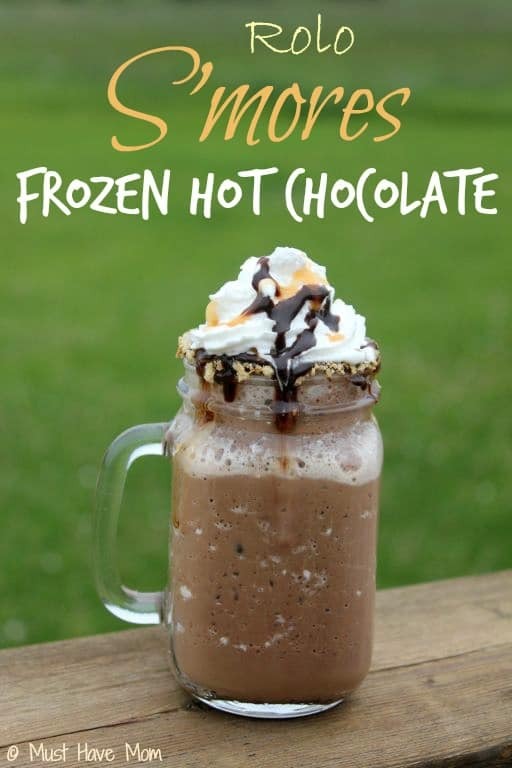 To achieve this Rolo S’mores Frozen Hot Chocolate success you will need to blend together 2 Cups crushed ice, 4 oz International Delight Caramel Macchiato flavored Iced Coffee, 2 Tbsp fudge, 2 Tbsp marshmallow cream and 1 Tbsp caramel sauce. I used my Ninja because it blends anything. Love it! I also get my ice out of my fridge door crushed to begin with and then blend it all together. That creates a nice, fine crushed texture without any big pieces of ice left in the drink. Then dip the rim of the glass in fudge and then in graham cracker crumbs. 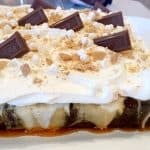 Top with whipped cream and drizzle chocolate sauce and caramel over the top. Enjoy! These are perfect for drinking around the campfire. You get the grown up S’more without all the sticky mess of a real S’more! Serve these up at your next bonfire and I guarantee they will be a big hit! 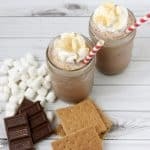 Yummy twist on a S'mores perfect for drinking around the campfire. All the flavor of S'mores without the mess! 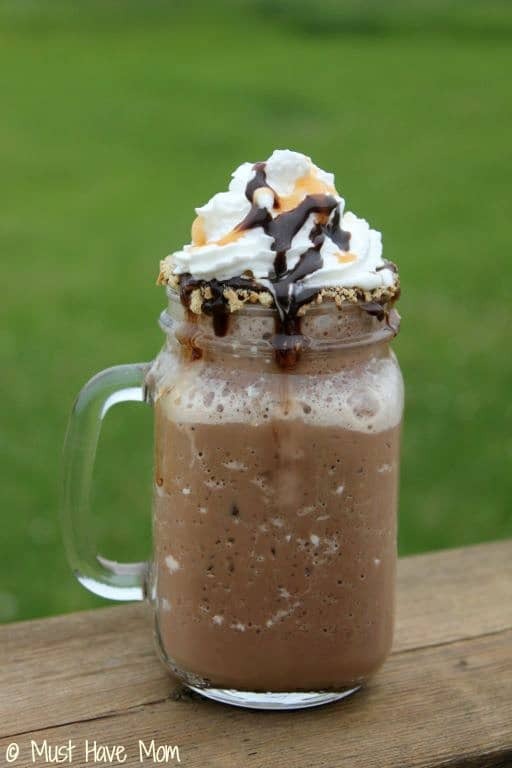 Blend together crushed ice, Iced Coffee, fudge sauce, marshmallow cream, and caramel sauce until smooth. Create a ring of fudge around the top of your glass by spreading the fudge around the rim. Dip rim in crushed graham crackers. Pour frozen drink into cup. Top with whipped cream and drizzle with chocolate and caramel sauces. 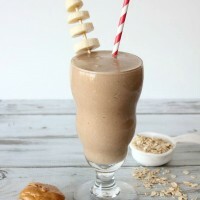 Chocolate Banana Oatmeal Smoothie Recipe – Kid Friendly, Nut Free, Protein Packed! Dunkin’ Donuts K-Cups Have Arrived! 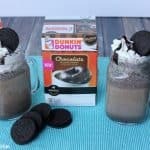 Cool Off With This Dunkin Donuts Oreo Iced Coffee Recipe! « What Is the Difference between Provigil and Modafinil Online?